No matter how many new glam wedding hairstyles come in fashion, the vintage wedding hairstyles would never get old – as they are eternal. Old school hairstyles go along quite well with both modern and classic wedding dresses. If you would like to add a vintage flavor to your wedding, it is not just about the theme and decoration. Select a vintage look for yourself that you are comfortable to carry. 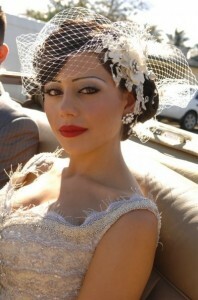 Add vintage bridal hats, veil and hair accessories to make it more attractive. To make a real style statement, think out of the box and select a unique vintage hairstyle for yourself – it may sound hard, but possibilities are endless.